YOUR HEALTH IS OUR BUSINESS! "The Care You Deserve, The Convenience You Need"
Providers at Jefferson Comprehensive Health are ready to meet all of your family general primary care needs, from sniffles to school physicals and beyond. And we offer hours, locations and services that make us more convenient than the ordinary doctor's office. Jefferson Comprehensive Health Center is an FTCA Deemed Community Health Center. We are a Health Center Program grantee under 42 U.S.C. 254b, and a Deemed Public Health Services employee under 42 U.S.C. 233 (g)-(n). We offer sliding fee discounts based on family size and income as well as assistance with the cost of prescription medications. 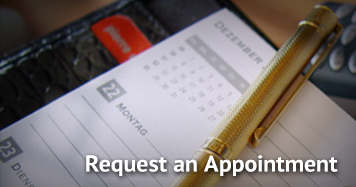 To make an appointment, please call (Fayette) 601-786-3475, (Natchez)601-442-4863, or just simply Walk Right In. Services will be provided to all patients regardless of their ability to pay and offers sliding fee discounts based on family size and income. Visit us at our Fayette or Natchez Locations! YOUR PRIMARY HEALTH CARE NEEDS! JCHC's approach to meeting local needs is to become an integral part of the community and strive to be involved in activities such as public housing projects, schools, churchs, community centers and on-site services.